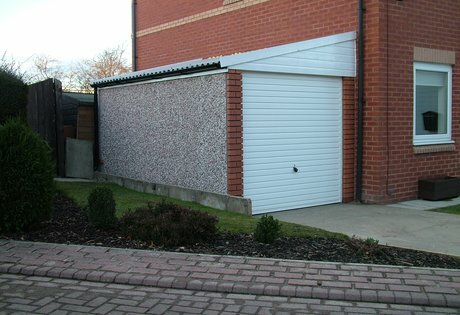 RWH CONCRETE GARAGES - CONCRETE GARAGES.WORKSHOPS. MOTORBIKE SHEDS.GARDEN BUILDINGS. Concrete Garages. Workshops. Motorbike Sheds.Garden buildings. 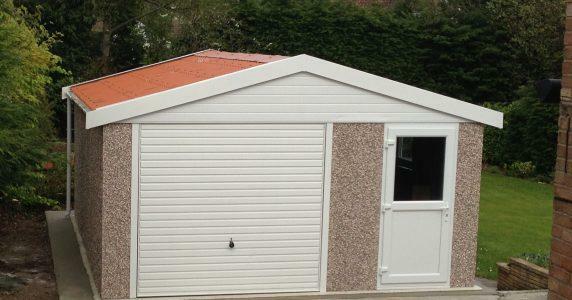 * 20% Off concrete workshops,motorbike sheds. 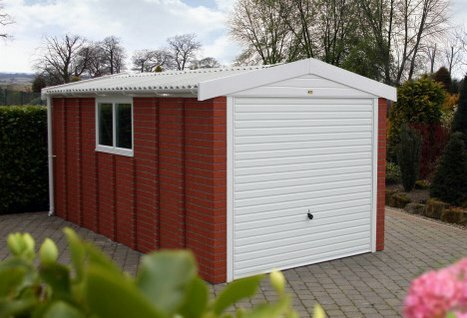 RWH CONCRETE GARAGES, west midlands, sell a wide range of quality concrete garages, apex garages,pent mansard garages, lean to' garages,concrete workshops, motorbike sheds and garden office buildings, manufactured by Lidget Compton. The walls of all Lidget Compton buildings, RWH sell are 70 mm thick and steel reinforced, the panels are machine vibrated prefab,concrete (more dense and thicker than any of our competitors).Ten year guarantee included. The standard concrete garage wall finish is 'Classic Spar' pebbledash, which is suited to most environments and blends in with all kinds of brickwork, it can also be overpainted with a good quality masonry paint, if you wish to match the exterior wall colour of your house. 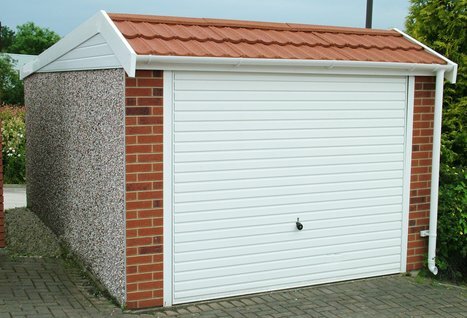 Brick finish effect garages,also available in pent or apex roof styles. Brick effect Apex concrete garage. Garden Room/offices. Highliner concrete sectional buildings are ideal for home mechanics, car restorers workshops, valeting and mot bays,or storage for logs for your wood burner, the applications for these prefabricated concrete sectional buildings is huge. Highliner concrete garage. Concrete Workshops. 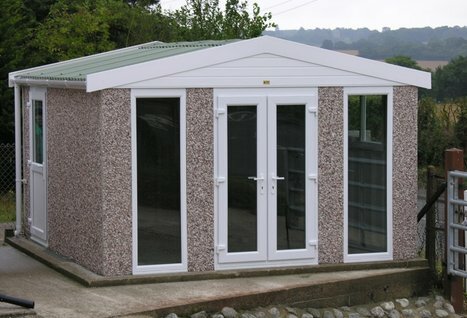 You can purchase with the confidence that any concrete sectional building you choose from our brochure,whether it's a concrete garage,workshop,store building,motorbike store/shed or for that matter any of our concrete sectional buildings range,it will have been made with quality,market leading products,and erected by a fully trained workforce. Our services include *Site visits *Concrete bases laid *Old asbestos garages removed. The concrete sectional building range is extensive and is covered in more detail in our colour brochure,if you would like a brochure, site visit,or any of Our services call 01384 864858.